The Elwing Nimbus an electric skateboard with compact power and an infinite glide. 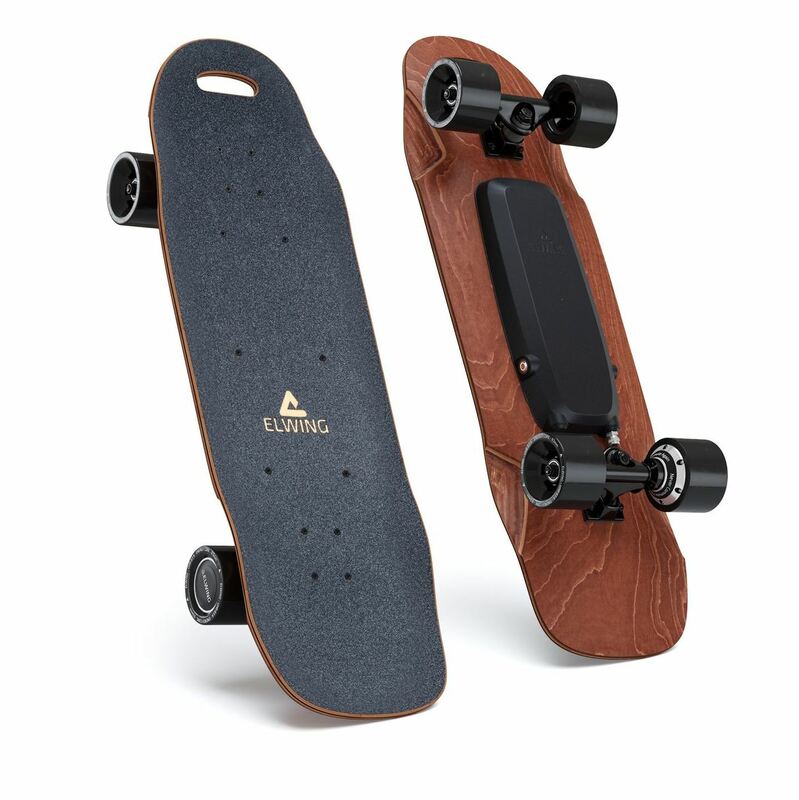 It is one of the prettiest boards on the market with it’s natural maple under-carry, black wheels and a minimal enclosure. The Nimbus has a top speed of 20mph, a max range of 9.3 miles and one of my favourite features in an electric skateboard, it’s safe for air travel! This is a must check out board!